Siberian Winter Wonderland: Experience it from the warmth and luxury of your own private cabin aboard The Trans Siberian Express. To book this epic journey please complete a Journey Request Form, you will receive an answer from one of our Rail Specialists within 48 hours. Alternatively please feel free to contact us via phone or email. The world's best known and greatest rail journey - from Moscow through eight time zones, crossing from Europe to Asia, across Taiga and Steppe to the Pacific coast at Vladivostok. The Tran-Siberian Railway is the longest continuous rail line on earth, each run clattering along in an epic journey of almost six thousand miles (or about ten thousand kilometers) over one third of the globe. A trip between Moscow and Vladivostok by regular service train takes six and a half days and covers 5,772 miles. For those who travel for the pleasure of the journey, those who believe that getting there is as much fun as being there, Russia's Trans-Siberian Railway has long been an almost mythic experience. For most of its history, the Trans-Siberian journey has been an experience of almost continuous movement, seven days or more of unabated train travel through the vast expanse of Russia. A great part of the pleasure of such a trip is simply sitting back and watching the land go by. However, most travellers on the Trans-Siberian find that interaction with other passengers, both Russians and tourists, is what makes the trip an unforgettable experience. Today, with far fewer travel restrictions, it is possible to use the rail journey as the core of a more varied tour. Travellers can enjoy stopovers in many of the Russian cities and towns along the route, from the historic Volga port of Yaroslavl to Irkutsk and the scenic Lake Baikal region. 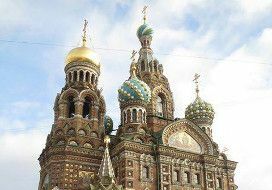 To book or enquire further about any train journey within Russia then please contact us or complete a Journey Request Form.